R.A.F. physical training plimsoll shoes/pumps by N.B.R. Co. Ltd. Size 7. 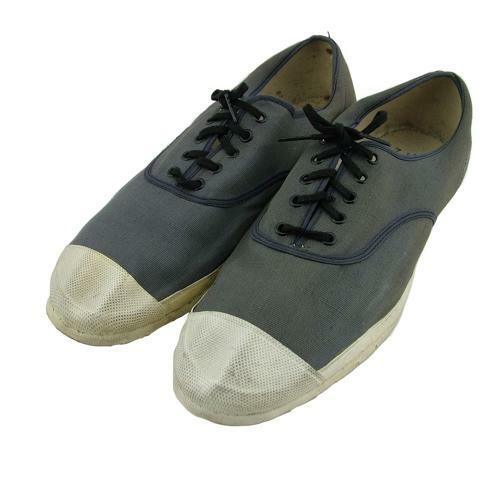 Manufactured in unlined blue-grey canvas with five rows of eyelets with laces. White solid rubber soles. They have clear Air Ministry crown marks and are dated 1941. These are a bit faded and lightly soiled but appear to be unused and are in very good condition. Extremely rare. The only pair we've ever had. Stock code B23442.